Chipotle peppers are the name for fully ripe red jalapeno peppers that have been smoked. 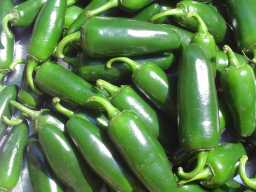 Most of the natural heat of the jalapeno is retained in the process. On the heat scale of all the chili peppers, this is usually considered a medium heat. 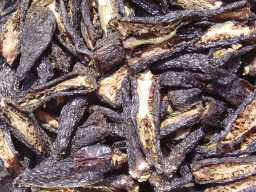 Chipotles are available dried whole, powdered, pickled, and canned in Adobo sauce. 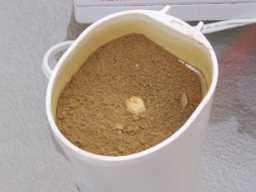 The chipotle powder isnt easy to find, so if you see some, give it a try. The smoke flavour and the jalapeno flavour really add a lot to soups, stews, chili, and sausage. 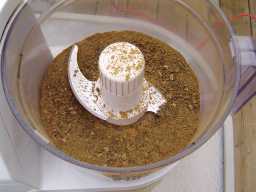 Just use the powder it as you would any other chili powder. We loved it so much the first time we tried it, and with the difficulty of finding it, we decided to make it ourselves. Its a long process. 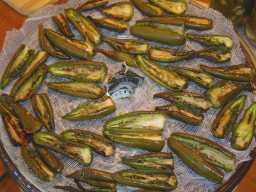 First we cut all of the jalapenos lengthwise so we can open them up, but not cut right through. We like the heat so we leave the seeds in. We fire up the water smoker and let them absorb lots of that smoke flavour. Then we de-hydrate them. 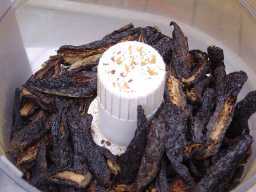 The next step is the worst; grinding the smoked peppers into powder. If you are considering making your own, I highly recommend grinding them outside with a mask on. The powder is deadly to the nose and eyes. We make enough for ourselves in one batch to last the entire year. 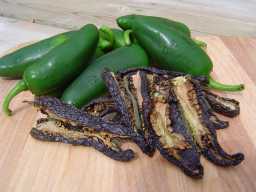 Red jalapenos are difficult to find here so we substitute green and it turns out fantastic! If you can't find Chipotles in the store, try making it yourself, it's not hard!